Never mind just the lack of Frostbite 3 or Madden 25 for the Wii U. EA doesn't have any games in the works for Nintendo's latest console. Period. 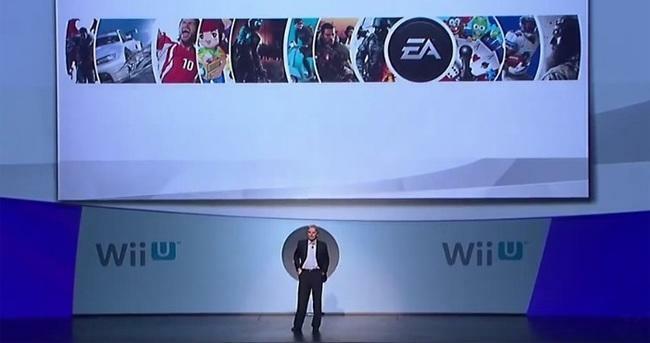 EA spokesperson Jeff Brown confirmed with Kotaku that EA "has no games in development for the Wii U currently," However, he did not rule out the possibility of future work. This comes just two weeks after EA, despite not bringing Madden 25 to the console, continues to "have a strong partnership with Nintendo." Perhaps EA would do well to maybe reconsider what they mean by a "strong partnership" because I don't think that includes totally ignoring the other party. Brown says he believes EA made good on their early promises to Nintendo with late ports like Mass Effect 3, Need For Speed: Most Wanted, Madden 13 and FIFA. During his days as CEO, John Riccitiello praised Nintendo's innovation and embracing of online gaming during the console's reveal at E3 2011. With Riccitiello ousted from the company earlier this year though, it seems that EA was not willing to follow up on his enthusiasm. This could very well mean no more Battlefield, Madden, The Sims, FIFA, Star Wars or anything from BioWare, Visceral Games or DICE gracing Nintendo's console from here on out. How much more punishment can the Wii U take? Can it survive on Nintendo properties alone?